Today on Tabletop Spotlight: we review the Gloomspite Gitz Battletome, and the first wave of new minis. 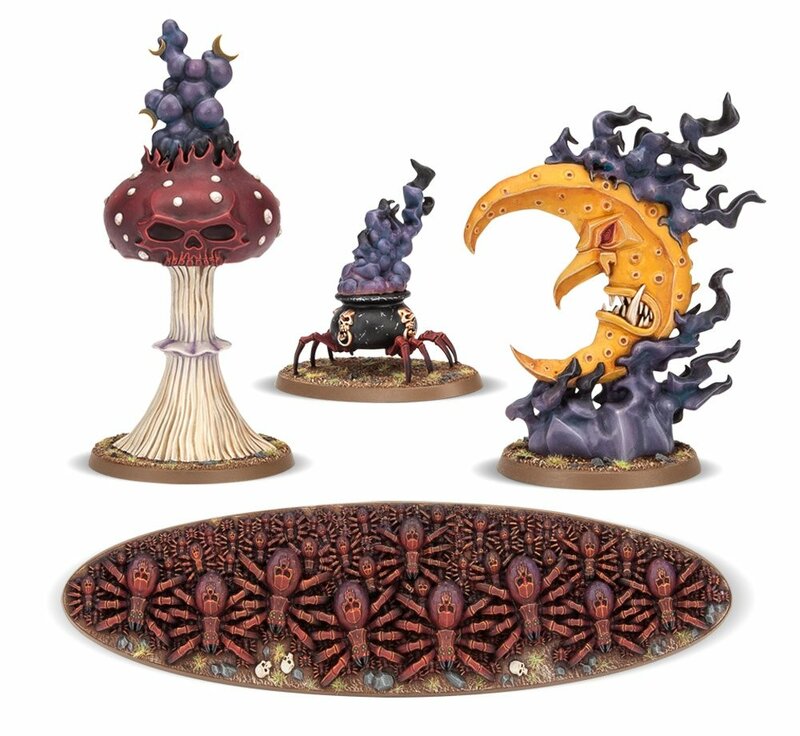 Two of the biggest things introduced are the new Bad Moon rules, which can bring a cavalcade of buffs and debuffs (at the same time) across the battlefield, while also taking advantage of squigs of all shapes and sizes to devour your opponent. The Loonshrine is practically an auto-include in any Gloomspite Gitz army, as it removes one of the goblins’ biggest weaknesses: battleshock tests. At least as long as you’re withing 12″ of it. Plus the new Endless spells are creepily perfect, and the less we say about the giant portal of spiders the better. Moving on, here are the first batch of miniatures released for the Gloomspite Gitz! As far as the new miniatures go, it’s great to see all the old trolls get some updated miniatures. The new Squigs are some of the best we’ve ever seen, managing to capture the character and diversity of the Goblins. You have stalagsquigs, mangler squigs (not in this batch, but you know) servant squigs holding up the train of Loonking Skragrott’s robes… these miniatures are chock full of details that, like fungus, just keep growing on you. So check them out, if you haven’t already!